The Lucent collection by Surya features a colorful and intricate globally inspired pattern. This pillow was woven with 100% cotton materials and would look great on your sofa or love seat. Please spot clean/line dry only. 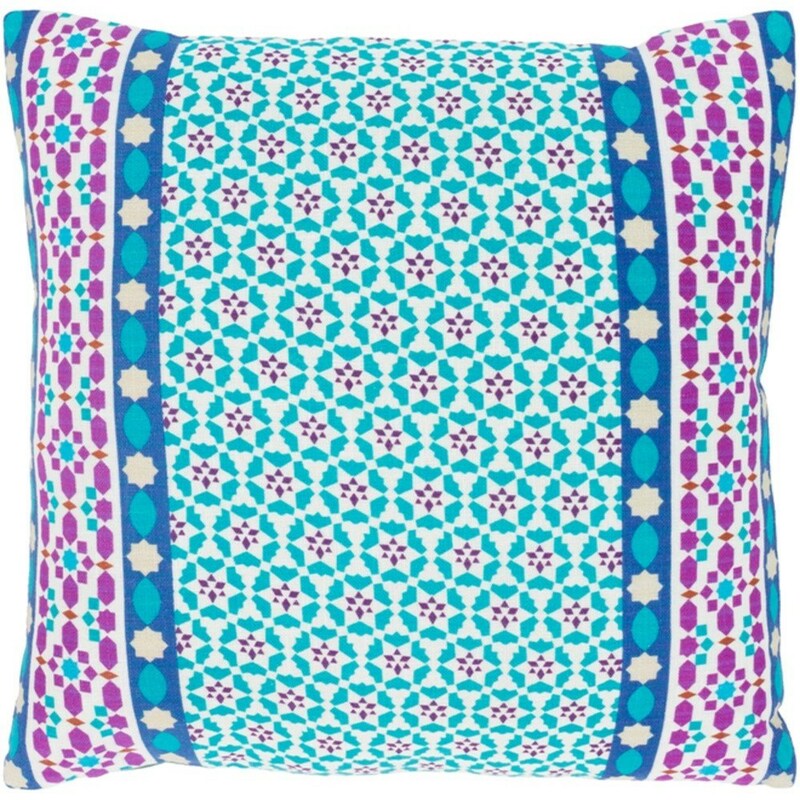 The Lucent 20 x 20 x 0.25 Pillow Cover by Surya at Royal Furniture in the Memphis, Nashville, Jackson, Birmingham area. Product availability may vary. Contact us for the most current availability on this product. Browse other items in the Lucent collection from Royal Furniture in the Memphis, Nashville, Jackson, Birmingham area.